My boys are 11 and 7, I'm a blogger and I spend the majority of my days in my home office tapping away at the keyboard. I think it's really hard to meet other mums at the same or similar stage of parenting as me and make friends. I'd love to meet people who could pop out for a coffee while the kids are at school. I'd like to chat to someone who knows what it's like. I already know loads of bloggers, but most of them have younger children and while they're my friends it would be nice to have a few friends who are at the same stage of parenting as me. There is only one person I can think of that is, and she lives in a different country so it's not like we could pop out for a coffee! So how do you meet other mums and make friends? Well there is a website that might be able to help: Meet Other Mums. It's a place to meet new friends, chat, and perhaps even arrange play-dates or coffee mornings. 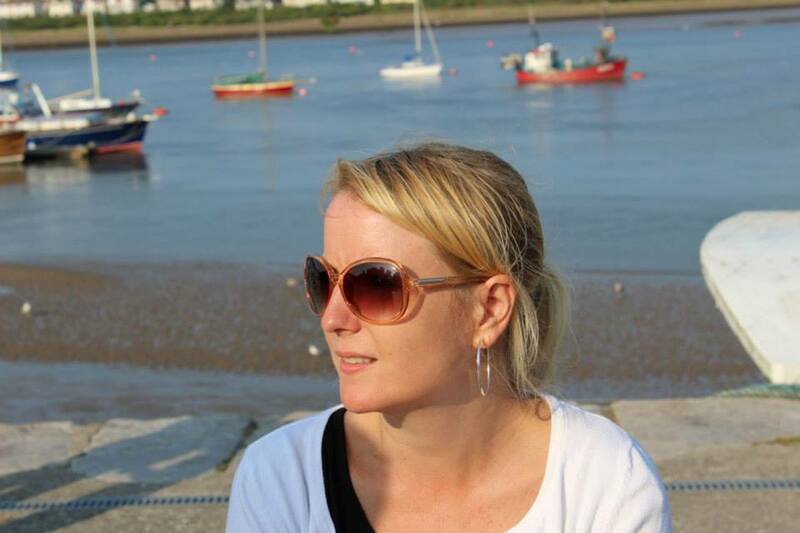 Meet Other Mums founder Sally Oddy shares a little more about how Meet Other Mums was born. I’m Sally, Marketing Consultant by day, MeetOtherMums by night! I came up with the idea for the site when I was trying to decide whether to start trying for a baby – I was searching the internet for groups that had other women who were struggling to make the decision or struggling with infertility issues and couldn’t find any. All the groups said ‘when are you due’ ‘how old are your kids’ - and you had to fill those blanks in to join. Felt a bit left out really. The seed of the idea was born to create a networking site for mums of all ages at all stages so no matter who you were you could join and find women who were in a similar situation to you for chat and support. As the idea grew and developed I realised the issue of isolation and loneliness for mums and knew my site could help them combat this by giving everyone a really quick and easy way to make friends. After months and months of development, honing the idea and making it the best it could be, I launched in August 2015. I can scarcely believe it is coming up to MeetOtherMums 1 Year Anniversary! My attempt at getting pregnant may have failed but MeetOtherMums goes from strength to strength, this is my baby, my calling, what I love doing the most! I feel very passionately that no mum should feel alone – we are all in it together and it’s so much better if we love and support each other. I’m in this for the long haul – my mission is to eradicate Mum Loneliness!! Now that's what I'm talking about! Eradicating mum loneliness sounds like an awesome mission. So if you think you'd like to eradicate your loneliness why not try out Meet Other Mums. When you first log in to Meet Other Mums you'll be asked to create a profile, you fill in your information and people get to find out a little about you before connecting. You get to say what stage of motherhood you're at, for example mine is listed as Primary School, High School, and Stay at home Mum. You can list how many children you have and the age of them, as well as a little introduction about you. After filling in your information you're "matched" with other mums in your area, you can then view their profile and connect if you choose to. You can send each other messages, chat in the group chat, or create your own chats if you have any questions. I've been on there for about a month or so I think and have connected with a few people. The other thing Meet Other Mums has is a blog. There's a group of bloggers (including little old me) that contribute to the site so the blog has posts every day. It's a great place to find new reads and maybe even some new friends too! Stop by the site, take a look and maybe set up a profile. If you do you can find me here, I'd be happy to connect! Wow what a wonderful post. Very informative and resourceful post. Thank you dear.It was helpful. You are awesome. Enjoy a beautiful day. What a fantastic post. So useful - I didn't even realise a site like this existed. What a great way of eradicating mum loneliness. We would kill it at coffee drinking Catie, we'd put the world to rights! 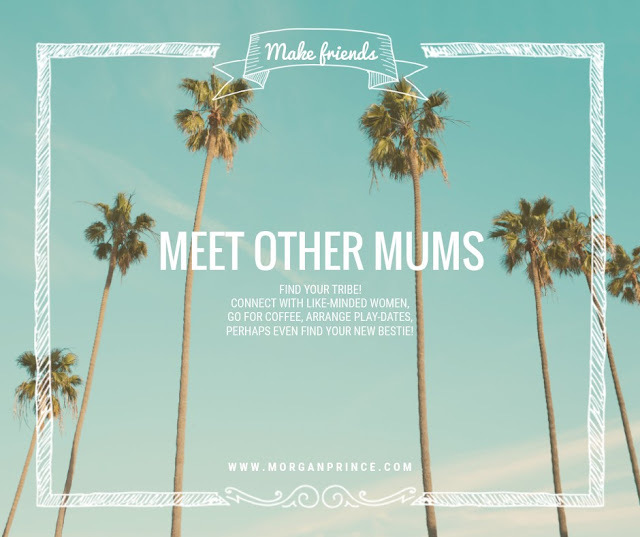 Hi Morgan, it can be difficult finding other Mums to connect with especially if you are new to an area. Meet Other Mums sounds perfect for helping Mums connect with like minded Mums. What a cool idea. Internet friend dating :-D. I've been lucky so far but could see it being an issue in the future. Will check it out. Haha, I didn't think of like that but it is isn't it? Cool.